Before you know it, Christmas will be knocking on your door and the holiday gift giving will be in full swing! Have you lined up your gifts already for this year? Or are you like us, still having to fill in some gaps with exceptional gift ideas? 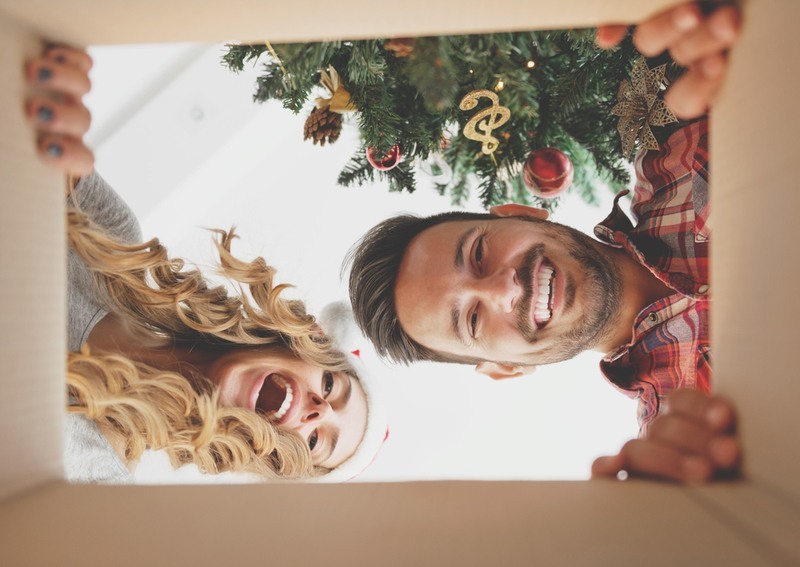 Well, since dental health is always on our minds, we have some fun (and useful) gift ideas to share with you this year that are sure to be a hit for someone on your list. Let’s take a peek! First, we’ll start with some cool stocking stuffers. Whether you are giving something special to the children in your life or the grownups, we have something everyone will love! You can never go wrong tucking a toothbrush in a stocking. But this year, you can step up your toothbrush gift-giving game by upgrading to a sonic toothbrush. These modern marvels vibrate at more than 28,000 brush strokes a minute to dislodge plaque on the tooth’s surface and get rid of harmful toxins, even between the teeth and below the gum line, making them one of the more popular toothbrushes available! They come in a variety of colors and there’s even fun ones for the kiddos! 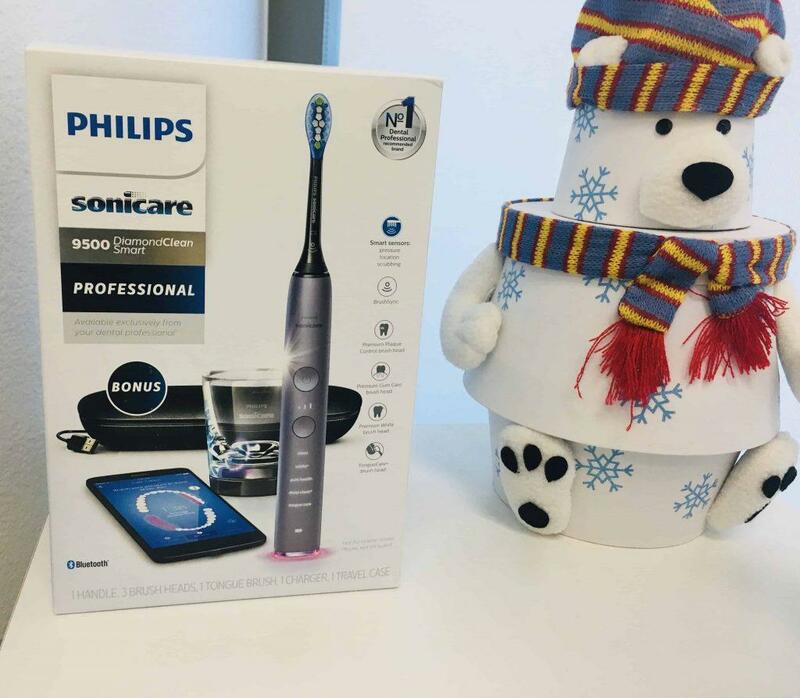 Check out why you might want to gift a sonic toothbrush. Flossing goes hand in hand with tooth brushing when it comes to good daily oral hygiene care. 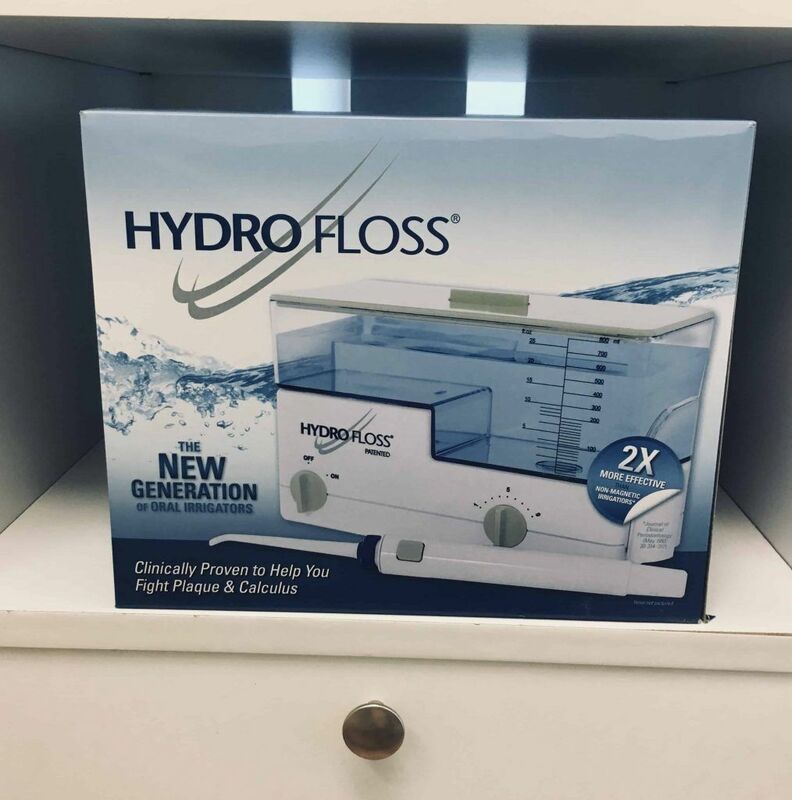 Whoever you’re gifting will LOVE getting a Hydro Floss® oral irrigator because it really helps their teeth and gums feel extra clean. It is the highest quality, most effective home treatment appliance of its kind, as it cleans beneath the gum line as well as between the teeth. It effectively gets rid of sticky plaque and oral debris to lower the bad bacteria that is often left behind with normal brushing and flossing tools. Its ionizing action also helps stop tartar build-up, with a pulsating stream of water that massages the gums and even helps stop bleeding gums in the process. This is the first professional-strength fluoride toothpaste with potassium nitrate. Sodium Fluoride supports tooth enamel by making it more decay and bacteria resistant to keep out cavities. Not only does it clean those pearly whites, but it also remineralizes tooth enamel and offers relief for sensitive teeth. 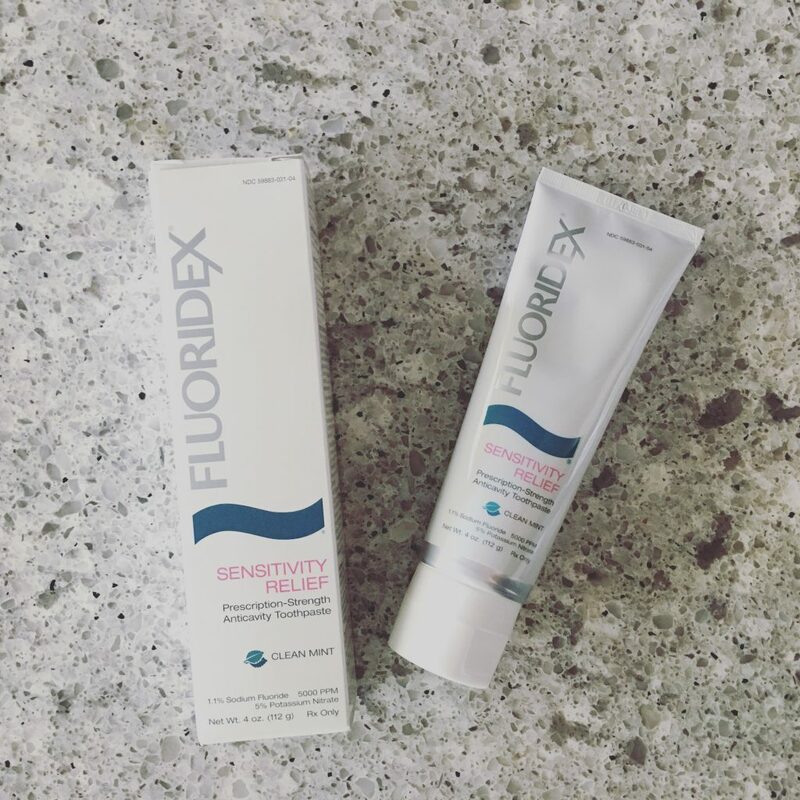 If you know anyone who has sensitive teeth from receding gums, abraded dentin or enamel abrasion, they would thank you for putting this toothpaste in their stocking! If you know someone who tends to be a bit of a germaphobe then this stocking stuffer will surely delight them! Mouths harbor a lot of bacteria some good and some bad (like the ones that contribute to bad breath, cavities, and gum disease) and using a UV toothbrush sanitizer is simply an easy way to kill organisms that may be living on their toothbrush! Getting a good night’s sleep is imperative for good health. Not to mention being able to function throughout a day. It’s reported that nearly 25% of couples sleep in separate rooms because of interrupted sleep. So not only will a snore guard help a person who snores but it will benefit their partner as well! Giving someone the gift of health or a smile that gives them a boost of confidence is one of the best things you could do! This year help loved ones to focus on their oral health and to make it fun (and easy) for them to do. Here are a few gifts you can give that will give your recipient a more attractive smile (and who doesn’t want that?) that could last for years to come! Dental lasers can make treatment precise and painless (so no anesthesia or shots). Using dental lasers to produce a narrow, powerful beam of laser light energy, Dr. Powell can treat cavities, bone, and gum disease safely and with minimal bleeding. He can pinpoint and treat only the affected areas, leaving healthy teeth, bone, and tissue untouched. Lasers actually replace drills and can rejuvenate healthy tissue for faster healing. Learn more about why you might gift laser dentistry treatments. 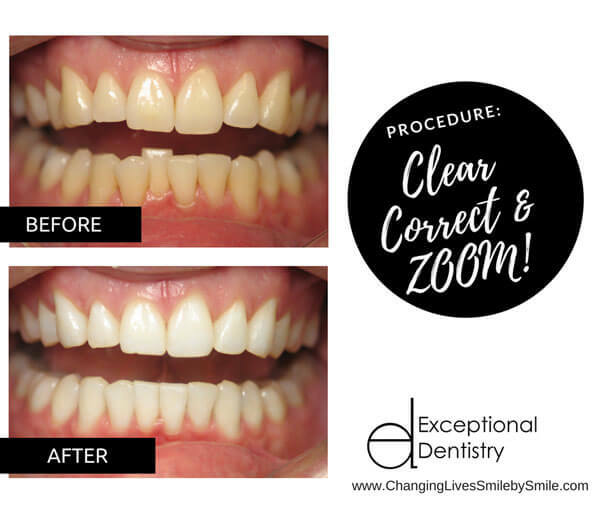 While at-home teeth whitening methods are useful, Dr. Powell offers both Zoom!® for patients with busy schedules and KOR® for those who are looking to get the brightest results possible. ZOOM whitening can gently lighten teeth up to 8 shades whiter in just one 60-minute treatment. KöR® Whitening is considered the most effective whitening system around and can brighten those pearly whites as much as 16 shades or more. It also permanently removes stubborn stains while being safe on the teeth. Learn more about why you might gift teeth whitening. 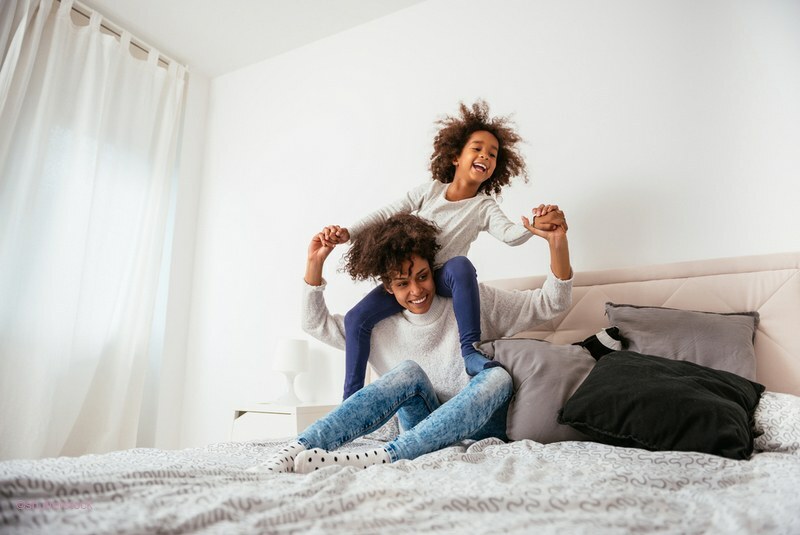 This unique orthodontic treatment uses a series of clear, customized aligners to align teeth and correct a misaligned bite more comfortably. Every few weeks, the aligners are switched out for a new set, and Dr. Powell will regularly check on the progress to ensure that the teeth are moving as planned. People love these durable, smooth aligners because there aren’t any metal wires or brackets, making them virtually invisible to others. Because they are removable, wearers can maintain their usual oral hygiene care without navigating a toothbrush and floss around brackets and wires. It also means they can eat their favorite foods without restrictions! Learn more about why you might gift these innovative clear aligners. If you gift traditional braces, your recipient will wear a system of metal brackets, wires, and bands attached to the front of their teeth. During routine visits with Dr. Powell, the wire will be adjusted to encourage tooth movement until the teeth have reached their ideal position. They will be given information about brushing and flossing and which foods to avoid. Not only will they end up with an aligned, attractive smile, but a healthier one as well. They will be able to better clean their straightened teeth to keep them free of tooth decay and gum disease and will find it easier to eat, chew and speak properly. Truly a gift that keeps on giving! Learn more about why you might gift a straighter smile. These allow you to give someone the gift of more beautiful teeth whether their teeth are stained, misshapen, crooked, chipped, or otherwise imperfect. These thin, durable porcelain or composite, tooth-shaped “shells” fit over their natural teeth so they can get the look they’ve always wanted. 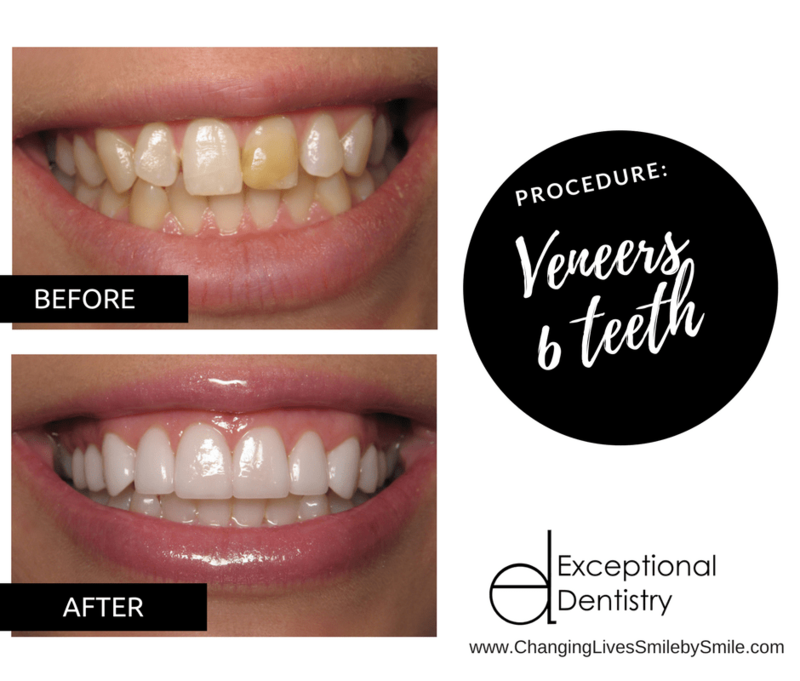 The veneers can be for one tooth or all of them. Dr. James Powell will evaluate their smile, discuss their goals, and determine whether dental veneers are right for them. In just two visits they can get the smile they’ve always dreamed of! Learn more about why you might gift dental veneers. These offer a less-invasive treatment than traditional veneers. They are made, and function, just like traditional veneers. But they are ultra-thin, allowing them to keep more of their tooth enamel before adding the veneers. With Lumineers there are no shots and the treatment is reversible. Much like veneers, they are designed to last 25 years or more. If you are wanting to give someone a gift they will always treasure, we invite you to reach out to our team to help you make a decision that could change their lives forever. Please call (661) 349-7725. Talk to us about what you have in mind, and we’ll help you find the gift that will reward you with all the hugs and kisses even if you’re not standing under the mistletoe!